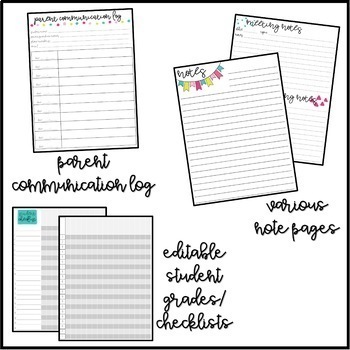 Are you looking for a way to stay organized this school year?! 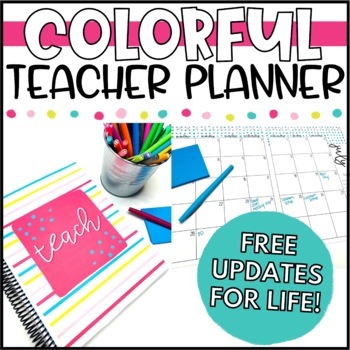 This planner has everything you need, including editable options to customize it for you and your classroom. The bright colors and prints will bring a little bit of happiness to your planning! I used to get frustrated shopping for a planner - it either had extra things I didn't need, or didn't include things I really wanted. I decided to create my own. This is a comprehensive planner you will be able to take with you to meetings, conferences, to and from home and have all of your important information and dates at your fingertips! If it is missing something you need, please send me a message and I would love to work with you on adding it! ►Trying to save on color ink?! Check out the Black & White version HERE! ⭐Click here to see a blog post about what the planner includes! 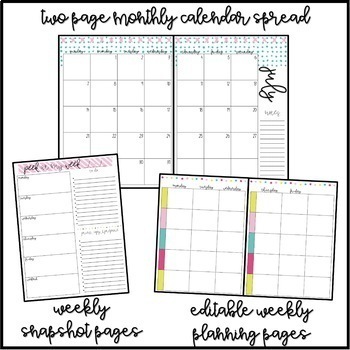 ⭐Click here to see a blog post about how to print and set up your planner! 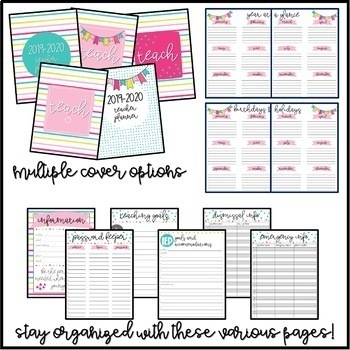 •A READY TO PRINT PLANNER! Please remember to check out the preview for a full overview of this product!